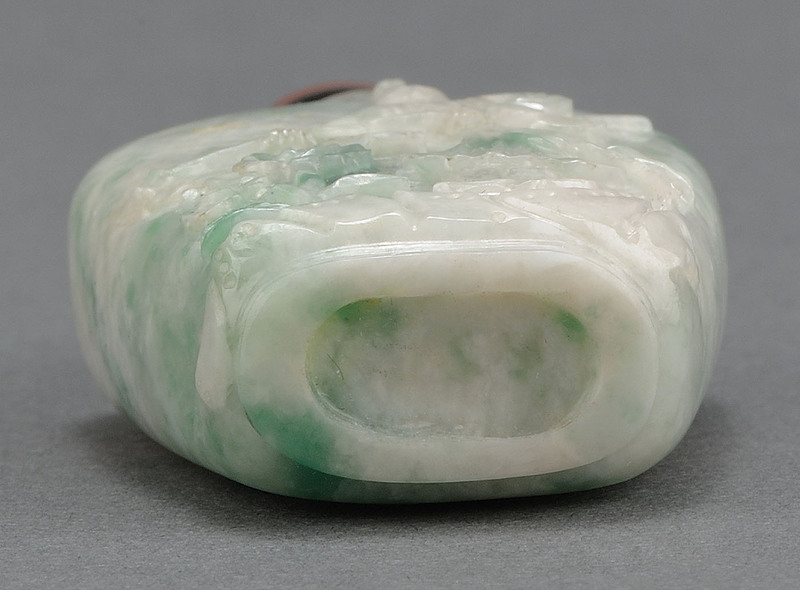 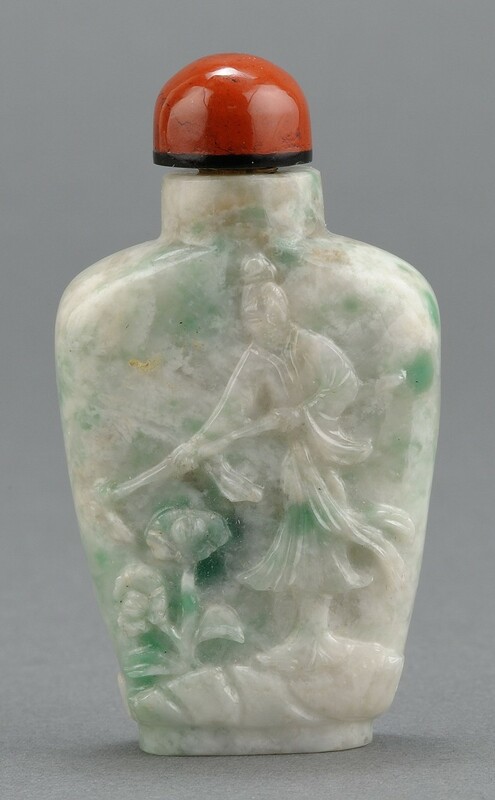 Chinese carved jadite snuff bottle with carved farmer using hoe. 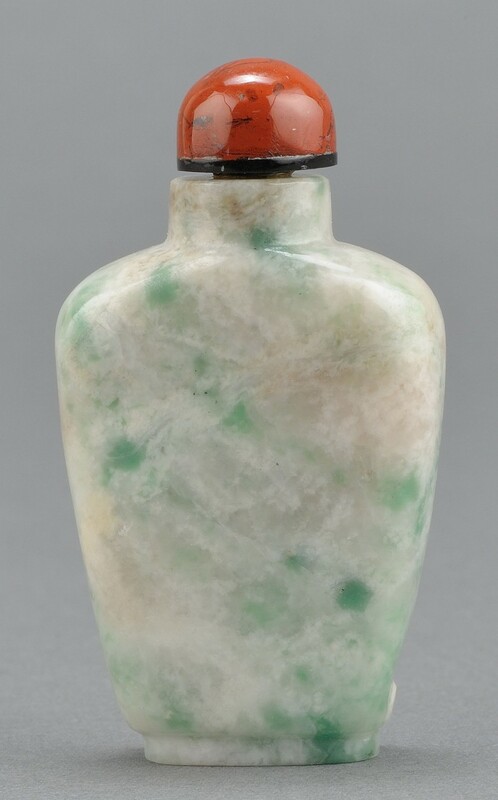 2 1/2" H. 20th century.Provenance: From the collection of the late Fred C. Kennedy, a renowned mineral collector and member of The Chinese Snuff Bottle Society of America. Condition: Excellent condition.